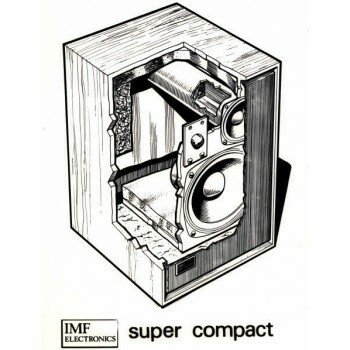 IMF Electronics Super Compact Monitor replacement capacitor set, Alcap 100V capacitors toleranced to original 5% or close tolerance 2%, plus Polyester capacitors if required. Supplied as matched pair sets for 2 speakers. IMF Electronics Super Compact Monitor replacement capacitor set. These are replacement matched pair capacitor sets of toleranced Alcap 100V capacitors, the best modern equivalent to the black Elcap capacitors originally used by IMF and most UK manufacturers. Sets can be ordered with capacitors toleranced to the original 5% or close tolerance 2%, and can include replacement Polyester capacitors if required. Supplied as matched pair sets for 2 speakers.